In spite of the fact that the positive U.S. statistics supported USD, this currency is getting weak. 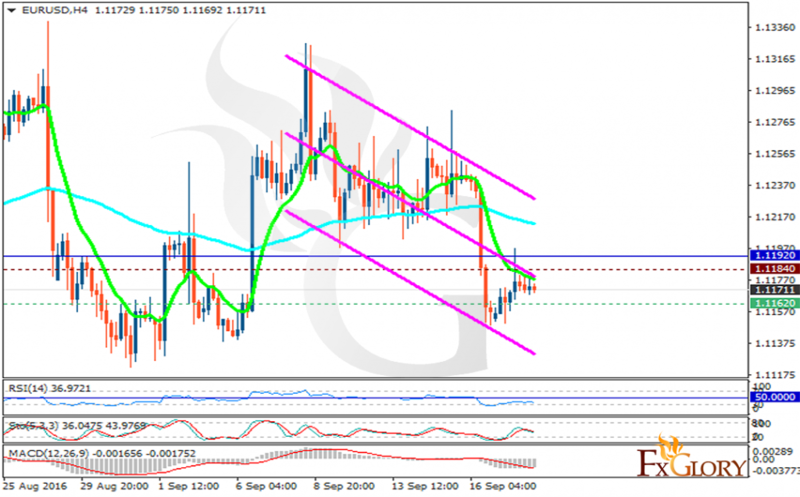 The support rests at 1.11620 with resistance at 1.11840 which both lines are below the weekly pivot point at 1.11920. The EMA of 10 is moving with bearish bias and it is located below the EMA of 100. The RSI is moving in oversold area, the Stochastic is showing downward momentum and the MACD indicator is in negative territory. There is no clear signal for this pair at the moment however we believe it will be fluctuating around the support and resistance area.